Li N, Liu JY, Qiu H, Harris TR, Sirish P, Hammock BD, et al. Use of metabolomic profiling in the study of arachidonic acid metabolism in cardiovascular disease. Congest Heart Fail. 2011; 17(1): 42-6. Zhang X, Yang N, Ai D, Zhu Y. 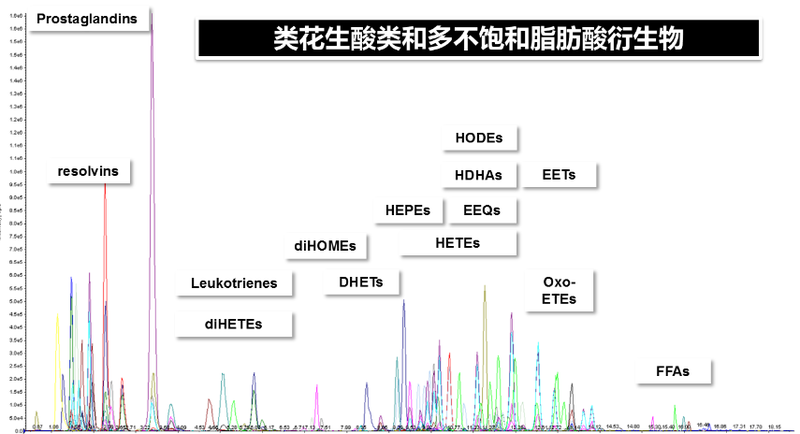 Systematic metabolomic analysis of eicosanoids after omega-3 polyunsaturated fatty acid supplementation by a highly specific liquid chromatography-tandem mass spectrometry-based method. J Proteome Res. 2015; 14(4): 1843-53. Lam SM, Wang Z, Li J, Huang X, Shui G. Sequestration of polyunsaturated fatty acids in membrane phospholipids of Caenorhabditis elegans dauer larva attenuates eicosanoid biosynthesis for prolonged survival. Redox biology. 2017; 12: 967-77.